The United Nations hopes to carry out the first medical evacuations from Aleppo on Friday, if the “humanitarian pause” in the Syrian army’s Russian-backed assault on the city holds. Despite a drop in violence after the truce took effect on Thursday there was little sign civilians were heeding calls to leave, and Russia accused rebels of preventing civilians from fleeing the east of the city. Meanwhile NATO chief Jens Stoltenberg expressed concern that a Russian aircraft carrier battlegroup, on its way from the North Sea and currently off the coast of Britain, could join attacks on Aleppo. British warships shadowed the Russian ships through the North Sea, the latest cat-and-mouse encounter in two years of Cold-War style tensions. 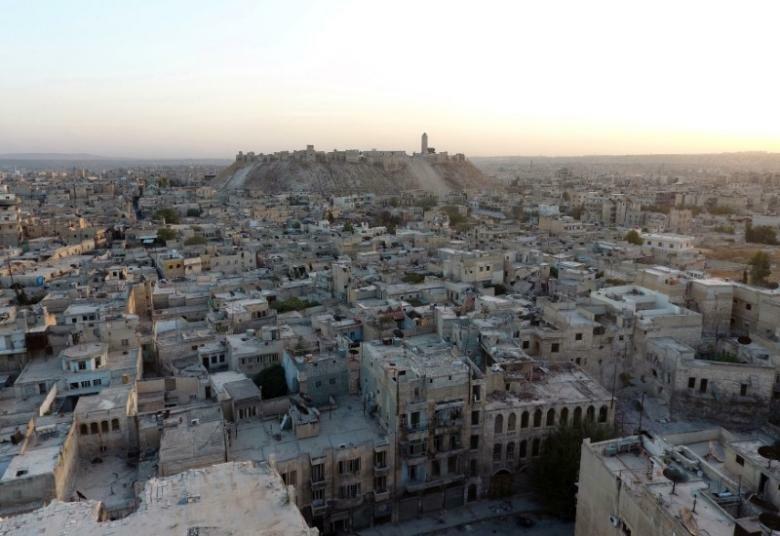 The unilateral ceasefire in Aleppo began at 8:00 am (0500) Thursday with the aim of allowing civilians and fighters to evacuate the city’s opposition-controlled east. Shortly after the pause began, gunfire and artillery exchanges erupted around one crossing point, with state news agency SANA saying “terrorist groups” had targeted the area “in an attempt to hinder the humanitarian pause”. But by afternoon, the clashes had subsided and the east was calm, though the streets were empty. Around Aleppo on Thursday, Syrian soldiers were calling through loudspeakers for residents to “seize the chance” to evacuate. The Russian defence ministry streamed live video from several of the exit corridors, showing waiting ambulances and buses along empty roads. An AFP photographer in government-held west Aleppo said eight injured people had crossed via the Bustan al-Qasr crossing despite the fighting. But AFP correspondents in the east visited four crossing points and saw no movement through them. Yasser Youssef of the Nureddine al-Zinki rebel group said opposition fighters wanted “nothing to do” with the Russian initiative. “Who are they to decide to displace the Syrian people who rebelled against the dictator Assad?” he asked. Russian Foreign Minister Sergei Lavrov, in a phone call to his US counterpart John Kerry on Thursday, said Syrian rebels “are violating the ceasefire and preventing the evacuation of the population”. The truce was initially described as lasting just 11 hours, but Russia’s Defence Minister Sergei Shoigu announced later Thursday that it would be extended “by 24 hours,” leaving it unclear exactly when the truce was now scheduled to end. Russia announced the ceasefire earlier this week as a “goodwill gesture”, amid growing international pressure over its support for Syrian President Bashar al-Assad’s campaign to recapture the city. More than 300,000 people have been killed since Syria’s conflict began in March 2011, and the violence in Aleppo has been described as some of the worst of the war. 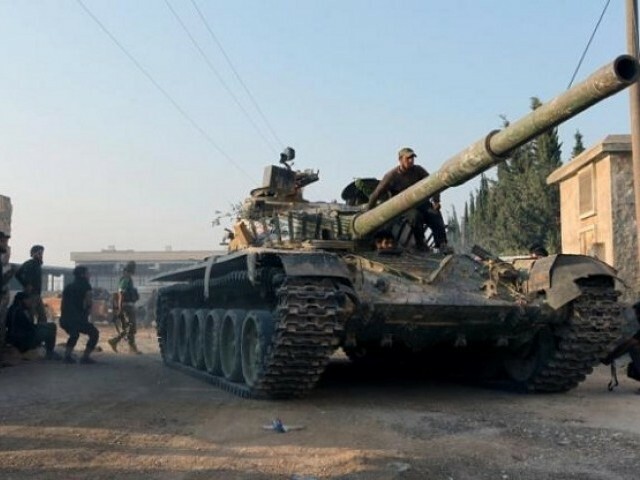 A further 250,000 civilians have been trapped in the rebel-held east of the city. The nearly month-long Russian and Syrian bombing campaign in Aleppo has had “horrific” results with nearly 500 dead and food rations expected to run out by the end of the month, UN Secretary-General Ban Ki-moon said Thursday. The Syrian army said it was opening eight corridors for civilians to leave Aleppo, two of which can also be used by rebel fighters provided they leave behind their weapons. Some civilians said they were eager to leave but wanted more reassurance they would be safe. “I don’t want to risk my life or my family’s by being among the first to leave,” said Mohammed Shayah, an unemployed father of four. Amnesty International meanwhile denounced the temporary truce as “woefully inadequate”. Secretary of State Kerry said US and Saudi officials were in discussions with allies — including France, Britain, Turkey and Qatar — trying to develop a plan for a renewed ceasefire before talking to Russia. “We’re working off low and careful expectations but high hopes that the agony of Aleppo can be addressed,” he said. The UN’s humanitarian taskforce chief Jan Egeland said Thursday that Russia, the Syrian government and rebels had given permission for medical evacuations from Aleppo to start on Friday, adding that the UN hopes to also deliver food to the besieged east. The civilian toll in Aleppo has drawn international condemnation, with Washington saying the bombardment could amount to a war crime. Moscow has dismissed the accusation as propaganda and demanded that rebels break ranks with the former Al-Qaeda affiliate, the Fateh al-Sham Front. After meeting in Brussels on Thursday, EU leaders backed down from an explicit threat of sanctions against Russia but warned they would consider “all available options” if atrocities in Syria continue.